Iran Hotel, Sepahan Alley, Chaharbagh Abbasi Street Established in 1969, Iran hotel is located on one of the oldest streets of Isfahan, at its heart: Chaharbagh Abbasi. Chaharbagh Abbasi is one of the most beautiful streets of this city: old trees, shadowing over the sidewalks, taking you all the way to Zayanderud and Siose pol. Staying at Iran gives you easy access to all the historical sights of Isfahan, with Naghsh-e-Jahan Square and Gheysarieh Bazaar a 10-minute walk away. 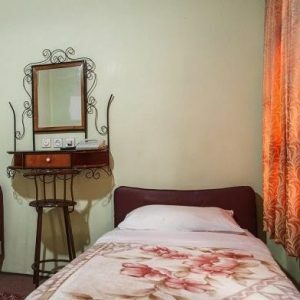 Iran Hotel’s geographical location is completed with its experienced staff and fair prices.